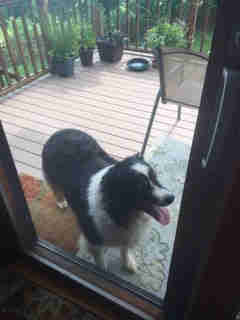 “Usually when he comes for a visit, he stops by the front door first and gives one or two polite barks. If no one answers the front door, he will either try to go through the garage or go around through the backyard." Tommy’s family adopted him from a shelter when he was around a year old. 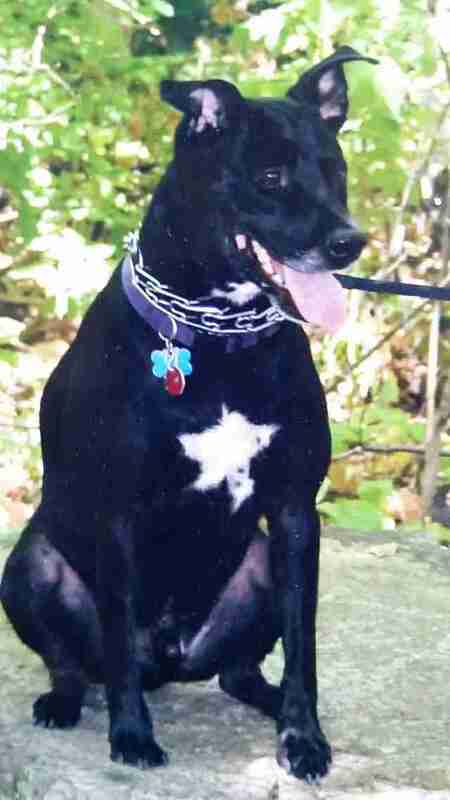 Initially, the family had been looking for a girl dog and had set up meetings with a few potential matches. While they waited for those dogs to arrive from their foster homes, one of the staff members asked if the family would like to meet Tommy in the meantime. It was love at first sight — for both the family and for Tommy. For most of his life, Tommy lived with his family in Illinois, until 2015, when they moved to a neighborhood in upstate New York. Tommy had a lot of dog friends back in his old neighborhood, and seemed to be missing them after the move — until he met Jackson. About a week after the family moved into their new home, Termolen was out running errands when she got a text from her youngest son saying that a very large, very shaggy dog with no tail had suddenly appeared inside their house. After finally locating the dog’s collar under all his fur, they discovered that his name was Jackson, and he lived right down the street. Termolen and her son walked Jackson home, and while his family was embarrassed that he had somehow found his way into someone’s home, they were not at all surprised that he was out and about trying to make friends. Termolen and her son said goodbye to Jackson and headed home — and soon realized that Jackson’s visit that day had certainly not been his last. Now, Jackson comes over to visit Tommy almost every day. The first few times, Termolen and her family walked Jackson back home, but have since realized that he totally knows the way on his own. 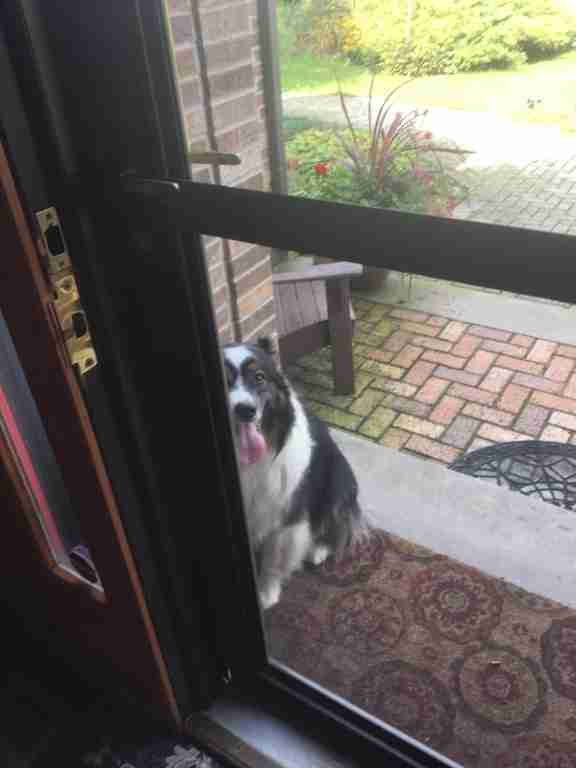 If the family’s garage door is open, then Jackson just lets himself into the house, and no one in the family is ever surprised to see him anymore. While Jackson is around 5 years old, Tommy is now 16 — but despite the age difference, the pair are still the best of friends. When Tommy was a bit younger and healthier, he and his best friend used to run and play in the yard all the time. Now, they just like to hang around the house or go on leisurely walks together. Even though he has a lot more energy than his aging friend, Jackson is always happy to slow down for Tommy. Tommy has been suffering from some health issues over the past year, and his vet is amazed that he’s still here. 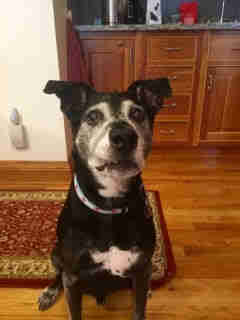 The sweet senior dog is still as happy as ever, though, and his family has taken to calling him Tommy Timex. “He gives a licking and keeps on ticking,” Termolen said. 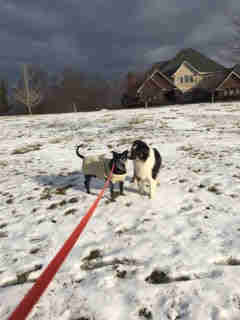 Even though his energy is limited these days, Tommy’s friendship with Jackson keeps him going, and he loves going on his daily walks just so he can check to see if Jackson is home and down to hang.